Hiring is top-of-mind for us right now. As we begin 2019, we’re focusing on growth and stability. We’re excited about expanding our team and taking on new challenges. But we’re keenly aware: team members are people, not “resources”. Even as we expand, we don’t want to lose sight of the fact that we work with unique individuals, and their needs, desires and goals are important to us. We certainly want to grow as a company, but not at the cost of our people’s sense of well-being. Check out what's open, if you'd like. We want to be productive and profitable while ensuring we remain a highly engaged and happy workplace. A place where people aspire to work and want to stay for a long time. So we’re starting the year with a clear vision that puts our people at the center of the picture—in everything. If you look at our departments’ vision statements for this new year, they each contain phrases like “highly engaged”, “team happiness”, and “people-oriented”. This people-first approach is also encapsulated in our departments’ values, and in the measures we’ve put in place to ensure we’re achieving and sustaining these. Our values are our guideposts. At Axelerant, we stand firmly by our people. We want to make sure we’re empowering each individual to be their productive best. This means providing them with the right tools, knowledge, and access to training and mentorship. We want to ensure that people are able to grow at Axelerant, no matter where they are in their careers. We’re stepping up our team engagement efforts. We want to maintain an enduring focus on wellness and psychological safety for each of our team members. While in the past, our engagement managers have only focused on the health of engineering team members, now every department in the organization will have engagement meetings. We’re promoting a culture of sharing. We’re also considering how the different project teams at Axelerant are intertwined with each other, and whether individuals in these teams are aware of the kind of work other teams are involved in. We’d like to be able to summarize learnings in shared reports, so that we’re able to break down silos and learn from each other’s challenges, successes and failures. To make this knowledge visible to everyone in the organization is a key agenda for 2019. We put people over process. To that end, we’re also considering how we’ve encouraged people to engage in knowledge sharing and community contribution, and how successful or unsuccessful our methods have been. We’ve found that forcing people to fit the system we create for them doesn’t work. We need to adapt the system to address their needs holistically. So instead of merely pushing people to check the boxes we prescribe to them, we’re now focused on making it easier for them to share learnings around the topics they’re already engaged with, in the form of engineering webinars, blogs, and community contribution. No one likes attrition, but we all know that some churn is inevitable. At the same time, we want to keep it as low as possible. We want Axelerant to be a place that people feel connected with and want to stay. To that end, all our departmental KPIs are now designed with the goal of reducing attrition in mind. Everyone from our engineering managers to our life coach is focused on helping people find more stability in their role in the company, as well as a clear path towards growth. We want our team members to know that we are dedicated in the long run towards helping them find satisfaction and fulfilment. Scores from our weekly Officevibe surveys provide us clear insight into how our team members are doing. Looking into these numbers month after month helps us ensure that we’re paying attention to the right things even as our team grows. We also use other measures to validate these numbers, such as direct one-on-ones between team members and reporting managers, periodic sessions with our Life Coach, as well as feedback collected through our feedback and recognition system, 7Geese. Our employee engagement score (8.6 in November) has been holding steady at the all time high of 8.7 since December. These are the various metrics that are individually considered to generate the engagement score, and below is a snapshot of our scores for the month of January. 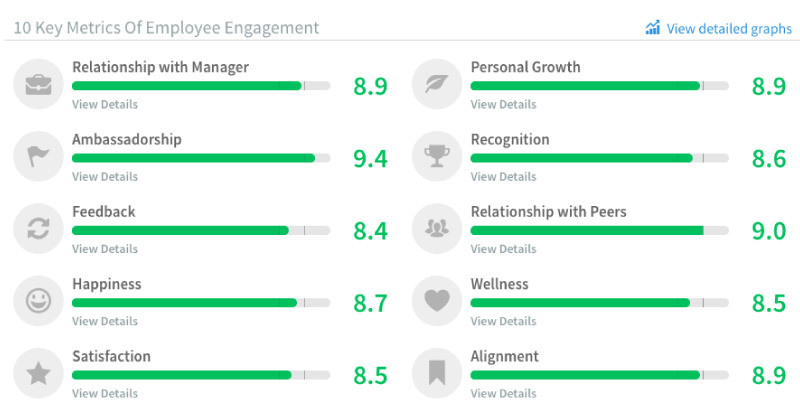 For our team at this point, the three lowest metrics are: Feedback, Wellness, and Satisfaction. While these are still healthy scores overall, we want to make sure we do everything we can to provide our team members the best environment possible. Wellness (8.5): find ways to help lower employee stress levels, and make sure team members aren’t overworking themselves, as this may lead to burnout. Satisfaction (8.5): ensure that team members feel that they are being compensated fairly, and address any concerns in a timely fashion. Our eNPS is up three points from last month’s 86! This is a fantastic score, and one that makes us very proud. It’s easy to get complacent when things are going well, but we’re determined to make sure we understand what we’re doing right and wrong, so that we’re able to sustain this momentum. We’re updating some of our policies. At Axelerant, we strive for fairness in all our decision-making, and our policies reflect this. The onus is on us to provide our team members an environment that promotes the holistic wellness of our team members. This means that whenever a request comes in for a change in the benefits we offer or an adjustment to one of our policies, we look at it from our team members’ point of view, trying to understand their perspective. And while certain policies do need to be locked down, generally, we find that there’s always room for change and improvement. So we’re happy to review our decision if it turns out that people are not satisfied with what we’ve decided. With that in view, we’ve proposed certain changes to our policies. These largely regard making certain benefits more easily accessible to team members, and these proposed changes are currently open to feedback from team members for a limited time. Once we’ve heard the different points of view, we’ll roll out the updated policies—remembering, at the same time, that our policies are always works in progress. Here’s what we want to do better. 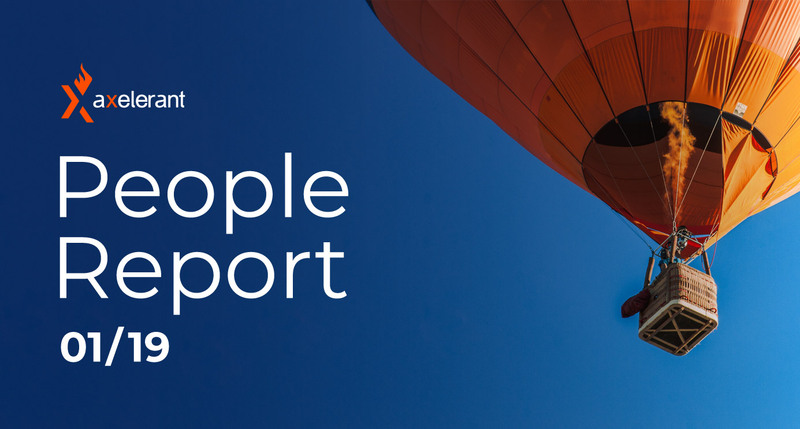 Our People Operations team has been running short on bandwidth lately; this is why we’ve been focused on hiring Talent Acquisition Specialists to help support this department’s needs. But we weren’t quick enough at addressing the bottleneck, which led to at least one candidate having an unpleasant experience while interviewing with us. This became painfully clear to us when this individual wrote a Glassdoor review in which they shared their negative experience—they shared that we were too slow responding to them, and it took us a long time to let them know that their profile didn’t match our requirements. To this person, we’d simply like to say we’re sorry. We made a mistake. We appreciate their sharing how we failed, and we’re doing everything we can to make sure this doesn’t happen again. Our focus going forward will be on structuring our People Ops department so that we document information better and are able to reply to people in a timely manner. 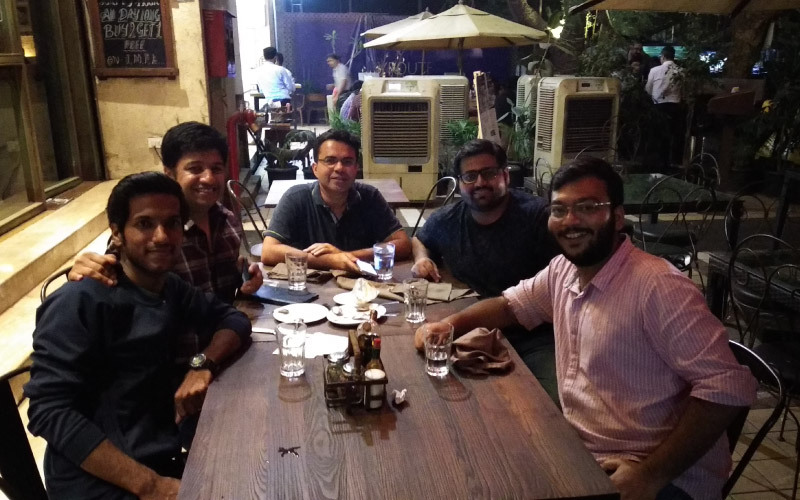 As usual, the month of January was full of fun and excitement, with local meetups, work anniversaries, celebrations, and new team additions. 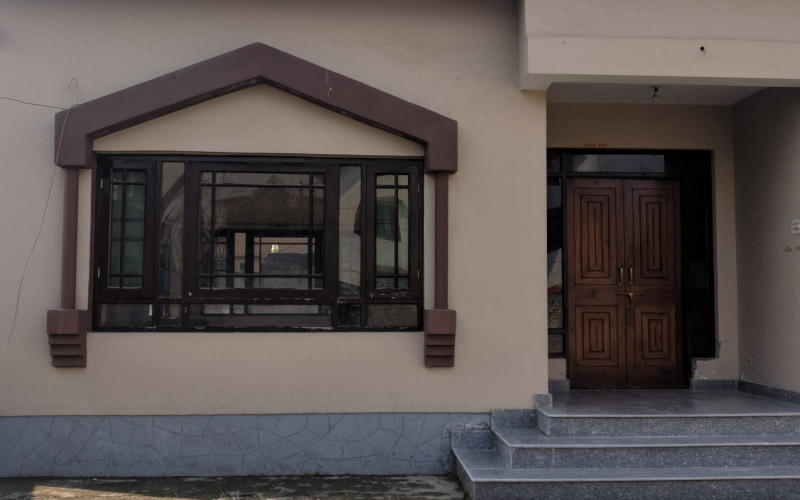 We opened a new office in Srinagar, India! We’re excited about our upcoming annual retreat in Goa. We’re looking forward to our team gathering by the beach in Goa for four days of fun. We’ve got people flying in from 24 cities this year! Our travel and stay bookings are complete, our schedules are planned and we’re all set. 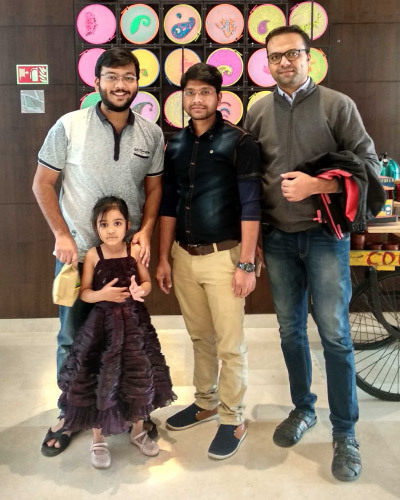 We’ve involved our team members to lead different activities this time, so that we’re not micromanaging but instead empowering people to spend their time in valuable ways and connect with each other. Not everyone can make it though, and we’ll miss our colleagues who can’t be there this time. We’re always trying to find ways to make the retreat more inclusive for each individual in our team. We keep learning and sharing what we know. We also have peer mentoring sessions scheduled every month, depending on the availability of mentors and the needs of mentees. Topics in progress this month include project management, Drupal 8, leadership, public speaking and presentation. We had some new positions open up this month. If you’d like to work with us, you can get in touch with HR here. Thanks for reading! Do let us know if you have any tips, insights or feedback for us.